This week we check out the Seltas Queen, a scorpion-like monster who fights with the Seltas. Read on to hear all about their wicked combination attacks. 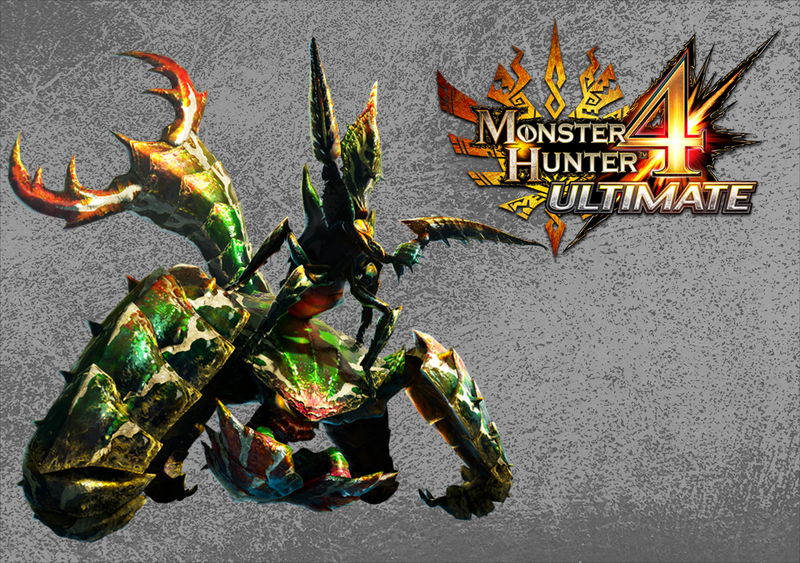 The Seltas Queen is a Neopteron and the female counterpart to the first new monster you encounter in Monster Hunter 4, the Seltas. 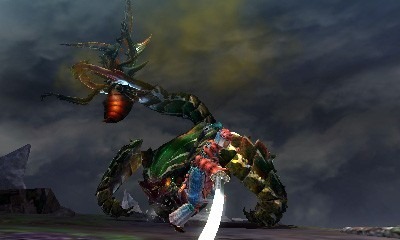 She’s much larger than the Seltas, and resembles a deep green scorpion with a pincer on the end of her tail. She’s weakest to fire and has some water-based attacks. She can also inflict the soiled status, so be sure to bring deodorants. The first thing you’ll notice about the Seltas Queen is that she and the Seltas fight together. She makes use of a pheromone to attract a Seltas to her. If the two become separated, she’ll use the fumes to call him over. If you kill the Seltas, she’ll use it to summon another one, but only after its body disappears, giving you a good couple of minutes to attack her on her own. If you get too close to her while she’s expelling her pheromones, you’ll be soiled. If you get too close to her when she’s enraged, you’ll get hit by water vapour and get waterblight. The Seltas Queen and Seltas are really annoying together. Her pheromones cause him to go into a trance-like state, at which point he’ll sit inside her pincer. He can fire globs of defence down at you, and if you’re near her pincer, he’ll swipe at you with his scythes, which have a very long range. If she charges at you, he can speed her up; it’s worth noting that when she’s enraged, she can change the direction of her charge up to three times. The Seltas is able to lift and carry her around, as well as slam her back into the ground to damage any hunter attacking underneath or right next to her. He can also, irritatingly, lift her out of pitfall traps, making them utterly useless against the pair. Bring shock traps! It’s possible to knock him out of her grasp by using a jump attack, but this doesn’t always work. The Seltas Queen can shoot out projectiles that inflict waterblight upon the hunter, so keep an eye out for those. 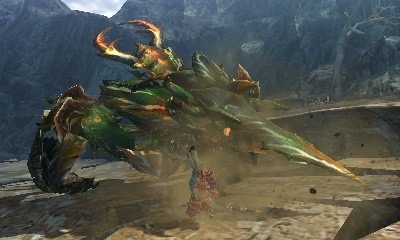 In terms of breakable parts, hunters can takes out all four of her legs, her face and break her tail. On her own, she is known to lash out with the pincer on the end of her tail at hunters who get too close. You can tell she’s getting ready to attack with it because the pincer will start tracking the hunter, slowly snapping as her prey moves. What does the Seltas Queen eat when she gets hungry, you ask? Seltas! When she’s low on stamina she’ll repeatedly smash him across the ground in a violent manner until he dies. Then she’ll eat him and summon another one. It’s pretty brutal. That’s it for the Seltas Queen! 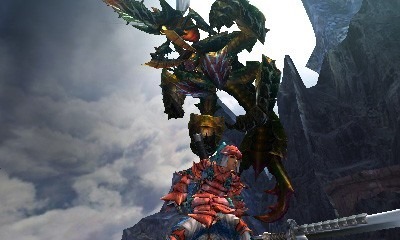 Next week is the offline final boss and parent of the flagship, the Shagaru Magara. Thanks man! Glad you’re enjoying it. 😀 I’m loving writing them so it’s good to know people are enjoying reading them. If you ever have any feedback or questions, feel free to leave them. Thanks again!